Sales enablement is an umbrella term increasingly used to describe a range of strategies, methods and tools that help to improve the efficiency and effectiveness of your sales operation. In this article, I have highlighted key types of sales enablement software and how they help improve your sales effectiveness. A CRM is one of the most important sales enablement tools because it enables you to measure and manage each and every key stage of your sales process efficiently. We chose Pipedrive because it keeps sales CRM simple and sales-focused. It uses a visual sales pipeline as the home page from where you can access everything else. Sales teams love Pipedrive because it works exactly how they would expect a CRM to work. At $10/user per month Pipedrive is the best value for your money of all the options we reviewed. 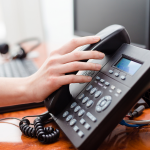 However, if you want to integrate with call recording software like RingCentral or Aircall you will need to purchase the gold package at $24/user month. For more detailed information about Pipedrive pricing, click here. Pipedrive makes it really easy to setup and customize each stage of your sales pipeline. Thereafter you can simply double clicking on any opportunity in your pipeline to access contact details, interaction history and upcoming tasks. Pipedrive helps sales teams to work more efficiently and effectively together. This is because the home screen is a visual presentation of your sales pipeline, which allows the sales manager and each sales rep to understand how their team are performing and what activity needs to be prioritized. For instance, if a deal has been sitting in one stage for too long, it will turn red to draw attention to itself. In addition, the sales manager as access to a full range of auto-generated sales reports, which can be used to identify where to look for improvement in the sales process or the performance of individual sales reps.
Pipedrive has over 80 native integrations. Most of these are highly relevant to sales team use. For instance, calling recording (like RingCentral), email (like MailChimp) and cost proposal generation (like Proposify). Support is available 24/7 via live chat, which I found responsive. Email support is available if more in-depth communication is needed via support@pipedrive.com. To learn more about CRM systems suited to small business, I would recommend reading Best Mobile CRM and Zoho Alternatives. Sales intelligence is a crucial sales enablement tool because it enables you to identify future prospects efficiently and effectively to feed the top of your sales funnel. I recommend sales Navigator because it’s an affordable way for small business to gain meaningful insight into prospect behaviour. This then allows you to personalize your cold email (or InMail) communication to convert more sales opportunities. Sales Navigator makes it easy to define your customer targets with a range of filters, for instance; industry, function and keywords. Then you have the option of turning leads into accounts if you want to stay up to date on recent developments. 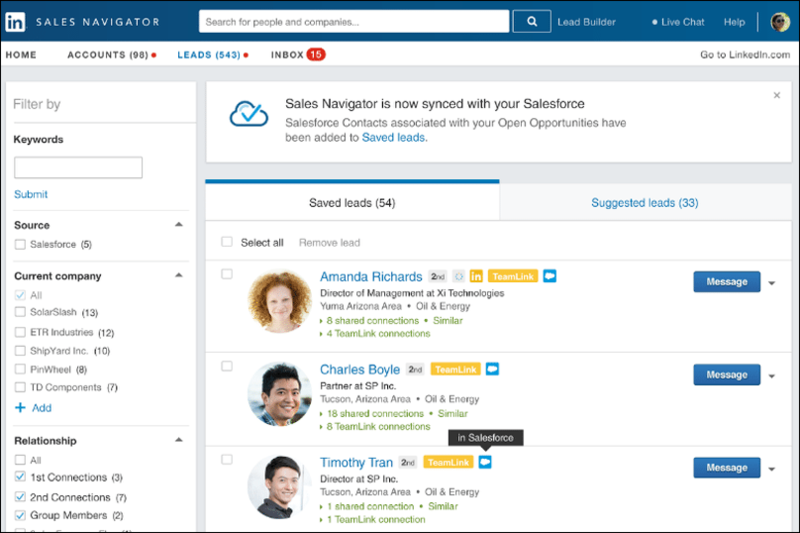 On your Sales Navigator home page, you can then track the most recent updates and news for each account. All of your activity that takes place in Sales Navigator not affect your normal LinkedIn account. If you want to build a lead list for your business, LinkedIn’s Sales Navigator is a powerful tool for identifying relevant prospects and gaining valuable insights about them so that you can personalize your approach. Automatic lead recommendations and alerts for when key contacts change jobs are simple ways to make your sales team more effective. Sales Navigator currently only integrates with Salesforce and Microsoft Dynamics CRM, but more CRM integrations are planned in the not too distant future. Support is provided via a comprehensive knowledge base called Sales Navigator Help. DiscoverOrg does not publish any information about pricing. InsideView does not publish any information about pricing. With more and more customers performing research online, website visitor tracking is becoming an increasingly important sales enablement tool. This is because it allows you to identify who have visited your website so that sales can follow-up. I recommend Leadberry because it’s the highest rated Google Analytics Technology Solution and it’s available at an affordable price to small business. At $35 for 100 unique leads per month, Leadberry is the best value for money of all the website identification apps that I reviewed. The Pro 200 and Pro 400 packages provide the same features and deliver more leads for a higher monthly cost, but a lower cost per lead. If you are a non-for-profit organisation, you can sign-up and use Leadberry completely for free. For more detailed information about Leadberry pricing click here. Leadberry is incredibly easy to setup and use. When you sign-up, you have to provide your Google Analytics account details to Leadberry and allow the two systems to connect. Then, once you’ve asked some questions to help the system understand the type of contacts you are interested in, you’re ready to start using the system. Using Leadberry thereafter is simple and completely intuitive. It Takes Just 2-Clicks to Connect Leadberry to Your Website Google Analytics Account. 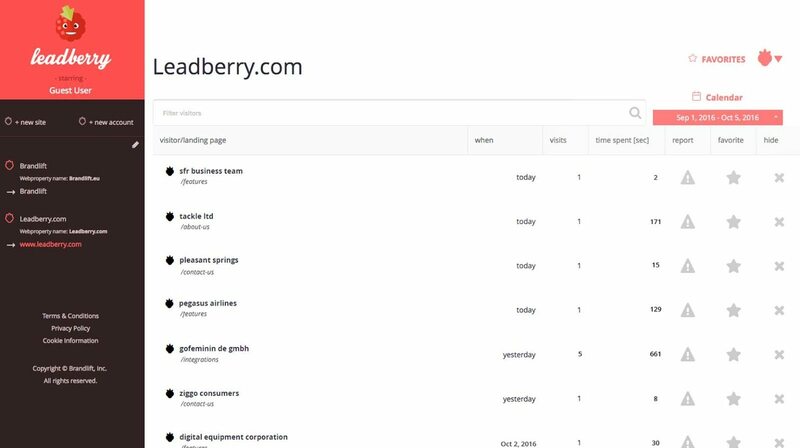 Leadberry allows you to see which companies were interested in your services. Beyond company names, you view a range of other useful data including website URL, company phone number, e-mail addresses for key contacts, and contact profiles for LinkedIn and Twitter connections you already know. Salespeople can also see which pages a prospect has viewed and for how long to determine their level of interest and the direction of their focus. The system continuously monitors your website and sends you e-mail alerts when a prospect arrives on your site. Leadberry can export all your website visitor data to a CSV file or integrate with PipeDrive, Insightly or Zoho. Support is available via support@leadberry.com. Lead Forensics does not publish any information about pricing. Netfactor does not publish any information about pricing. Sales pitch software is essential to sales enablement, as you need to be able to visualize your sales pitch professionally and provide a leave-behind at the end of meetings. This helps to improve your win rate. I recommend Slidebean because it allows you to create professional pitch presentations without the need for graphic design expertise. It also provides useful analytics, which help sales to convert deals at the next stage. The $8 Individual package comes with unlimited presentations and storage, though to get custom branding, color palette, fonts and design reviews you will have to trade up to the $19 Premium package, which is the package that I would recommend for business use. For more detailed information about Slidebean pricing click here. 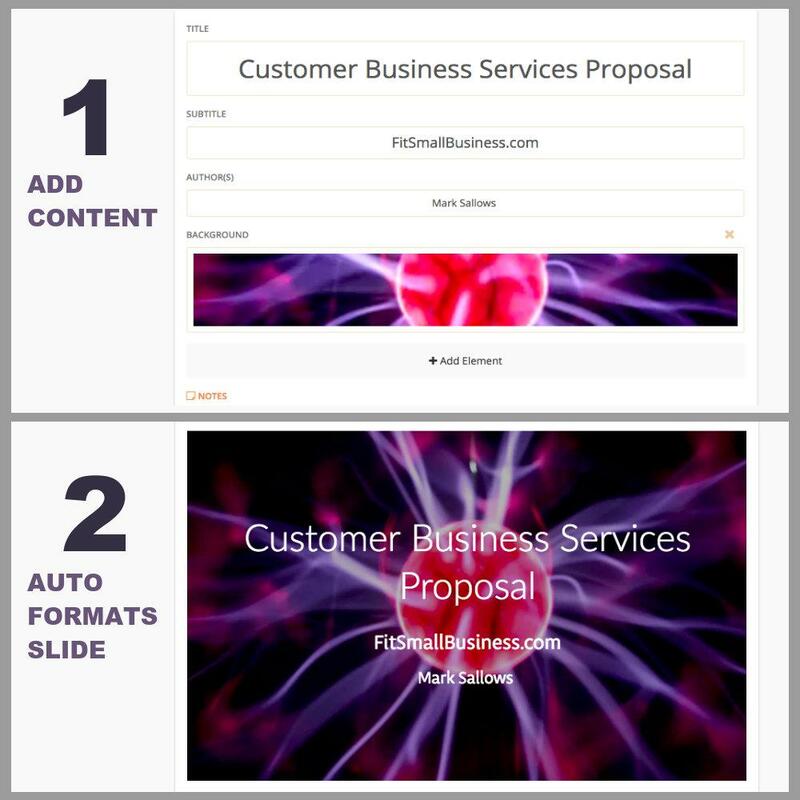 If you want to skip the tedious process of formatting presentations, Slidebean is ideal. When starting a new presentation, all you have to do is add your text, images, GIFs and videos to the system and Slidebean will create a presentation for you, complete with look and feel. Slidebean gives you the choice of presenting on or offline. Apart from allowing you to create professional standard pitch presentations in-house, Slidebean’s metrics allow you to monitor when, where and for how long your audience view your presentation as well as which slides they view for the longest. This information will enable your sales reps to know who to call, when to call and what to talk about. Slidebean does not come with any integrations because it doesn’t need any. However it does come with build in access to millions of rights free images, GIFs and icons, which makes it even easier to create professional sales pitches. Slidebean provides you with a named, dedicated account manager who is available to provide you with phone and email support 24/7. What’s more, included in the $19 Premium monthly subscription is a 1-hour phone call with one of Slidebean’s expert designers to get the best tips and advice on how to take your presentations to the next level. There is also an extensive knowledge base including tutorials and webinars. You can also check out our full comparison of the best sales presentation software. It’s important to be able to create their own sales collaterals in-house. If you cannot do this yourself, the cost of a design agency can be prohibitive for a small business . 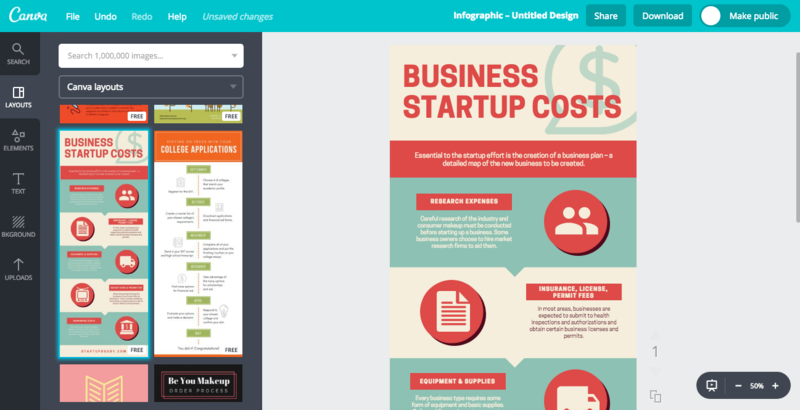 Canva allows you to create anything from infographics to gift-cards and posters to sales brochures, all using templates without the need for you to be a graphic designer. 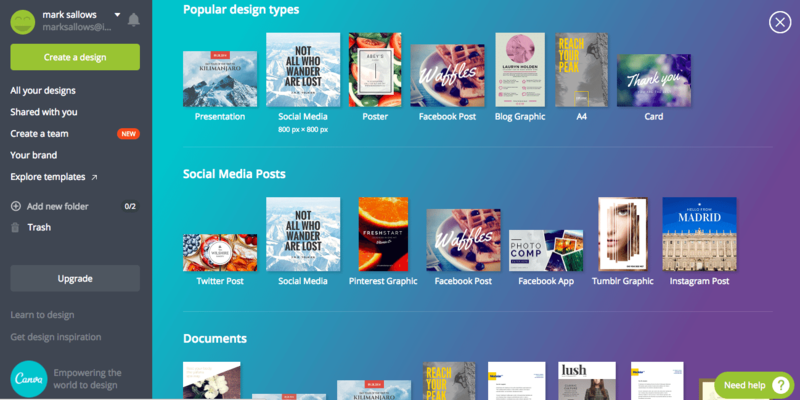 Canva has a free version for up to 10 users and a limit of 1GB of storage. However, I would recommend the $12.95 Canva for Work package as this package allows you to custom branding, color palette and fonts to create professional sales materials. For more detailed information about Canva pricing click here. With over 8,000 user generated themes to choose from, you can create infographics, social posts, sales brochures and much more with a bit of creativity. The interface is drag-and-drop, so it’s easy to tweak your graphics to look the way you want. Canva is a great platform for small businesses to create their own sales support materials without the need to hire in a specialist graphic designer. I would use it to create a create a wide range of sales collaterals including; “been trying to reach you postcards”, infographics to explain your solution, e-books, sales brochures, social shout-outs, event invites and much more. These sales support materials will help your sales team to follow-up with prospects and maintain touchpoints outside of phone calls and meetings. Canva does not have any integrations because it does not need any. However you can purchase templates, photos and icons from the Canva marketplace for $1 a pop. Canva provide comprehensive customer support, including a support service, a design school, a tutorial and an excellent blog. Most B2B sales teams have to be able to pitch and develop relationships at distance from their customers. 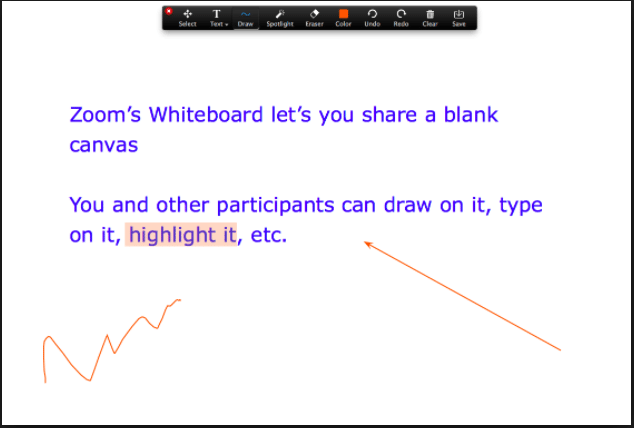 Using the phone is ok, but the ability to video conference and share your screen when presenting will help to increase your win rate. Zoom allows you to host face-to-face meetings with your prospects and it’s as simple as a single touch for them to join you. The most important aspect of video conferencing is call quality and Zoom has the most consistent video and audio call quality that I have experienced in its price range. Zoom does have a free package. However, at $14.99/user per month, I would recommend the Pro package for business use as it comes with unlimited call duration (the free package is limited to 40-minutes) and call recording. For more detailed information about Zoom pricing click here. Zoom allows your prospects to join meetings as participants by entering a URL and the meeting ID in their browser or entering the meeting ID in their mobile or desktop apps. This makes it hassle free for you to setup and host high video and audio quality calls, which is crucial if you are delivering a sales pitch online. Zoom allows you to complete all of your required pitch meeting setup and hosting requirements so that you can focus on delivering your pitch successfully without having to worry about how the technology will perform. You can complete all of your core requirements for a sales call, including; schedule meetings and send invites, record meetings, screen share to present your pitch slides and use a whiteboard to illustrate talking points whilst you are screen sharing. Zoom provides a wider range of integrations than all of the other options I reviewed. They cover a range of services including calendar scheduling and collaboration apps like Slack. You can also use Zapier to integrate with hundreds of other apps. Zoom offers 24/7 phone support. However, if your business is using Zoom’s free account, all of your support requests will be assigned a 24-hour response time. Zoom also has a comprehensive help center. You can also read our comparison of the best video conferencing software. Showpad delivers intuitive sales content software that makes your content easier to find, present, share, and measure. Unlike traditional file sharing or content management systems, Showpad lets you present and distribute your content in a cloud-based, branded environment. Showpad’s $30/user per month Essential package has all of the features that a small business is likely to need. For more detailed information about Showpad pricing click here. Showpad’s simple sales content management system requires almost no training or explanation at all for salespeople to share documents with customers via any device. Showpad’s powerful tagging allows marketing to easily organize sales content and ensure that salespeople can always find what they need in seconds. Showpad allows your sales reps to access your library of marketing and sales collateral to find the right content, send it to prospects and track prospect engagement within each piece of content. Showpad is cloud-based, so it will support your sales reps wherever they happen to be. The in-app reports allow sales reps to know what prospects have reviewed and when so they can make a timely follow up. Reports can also be used to help marketers prioritize sales collateral needs; the more your sales team use a piece of content when selling, the more marketing should prioritise supporting this over content that is rarely or never used. Importantly, Sales leaders can track top performers’ habits to see what content they use at each stage of the sales process. This insight allows them share this knowledge with other team members to improve sales effectiveness of the team as a whole. Showpad integrates with Salesforce and Microsoft Dynamics. Showpad provides 24/7 live and email support via support@showpad.com. 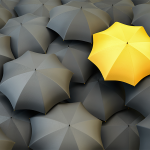 Sales enablement is an umbrella term for the ways businesses support and equip sales reps with tools to better-engage prospects. In this article I have highlighted some key sales enablement software tools, which cover a broad range of uses. Each of which serve an essential purpose to improve efficiency and effectiveness at every stage of your sales process. Mark Sallows is a writer for Fit Small Business specializing in sales and marketing topics. Before helping other small business owners, Mark was co-founder and CEO of a successful digital publishing start-up called Turtl. Mark has also served as a non-executive director in several early stage media, marketing, and tech businesses. Before this he was an early stage venture capital investor for a global investment business. Mark lives in New Forest, a scenic area in Southern England. Pipedrive CRM - FREE Trial!